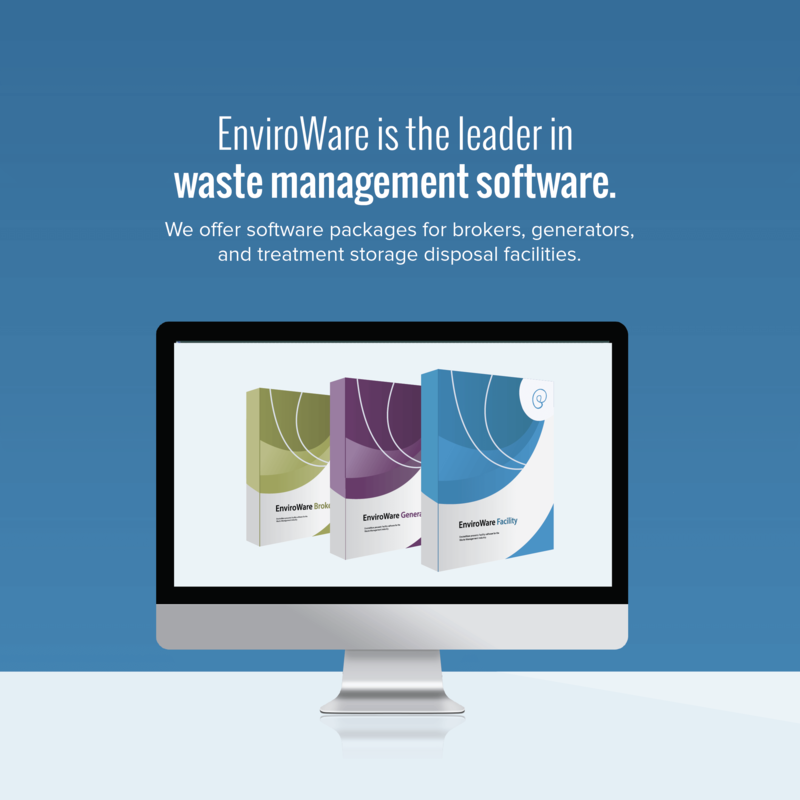 EnviroWare is designed for waste brokers, generators, and treatment storage disposal facilities. Get more done with less resources by streamlining key processes and operations. 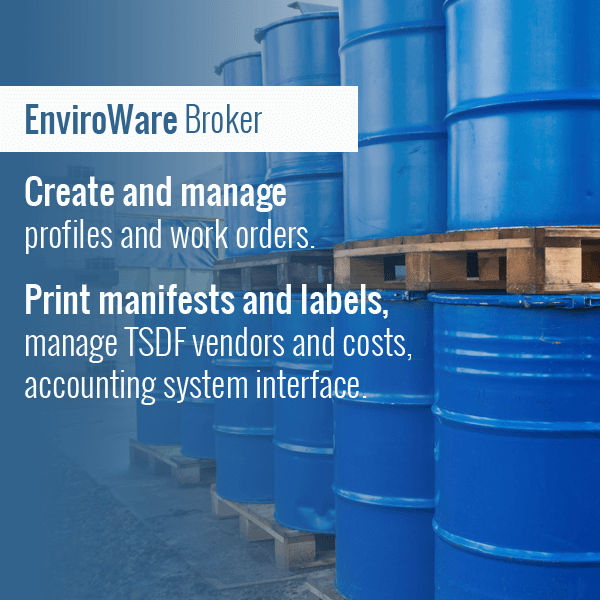 Maximize profitability by improving productivity and reducing regulatory risks. 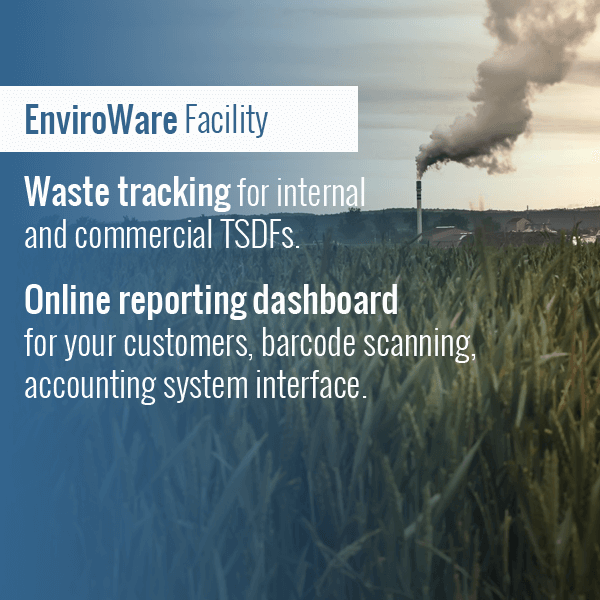 Our new online reporting dashboard allows EnviroWare customers to share data and reports with their customers. 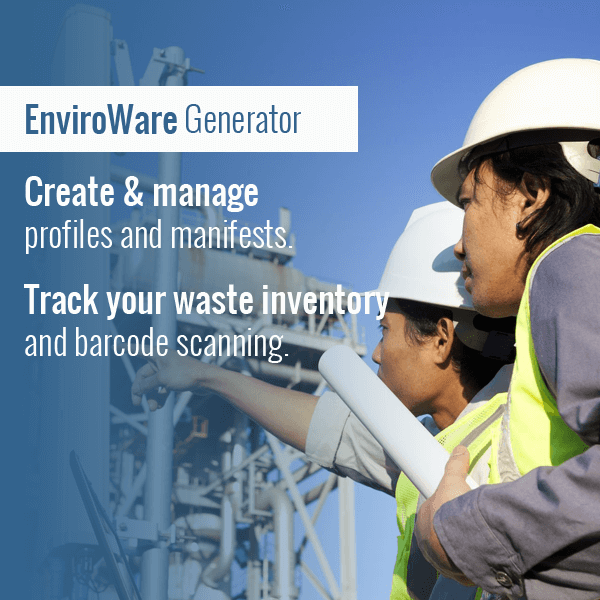 This includes charts and dashboards, profile data, shipment data, and reports. 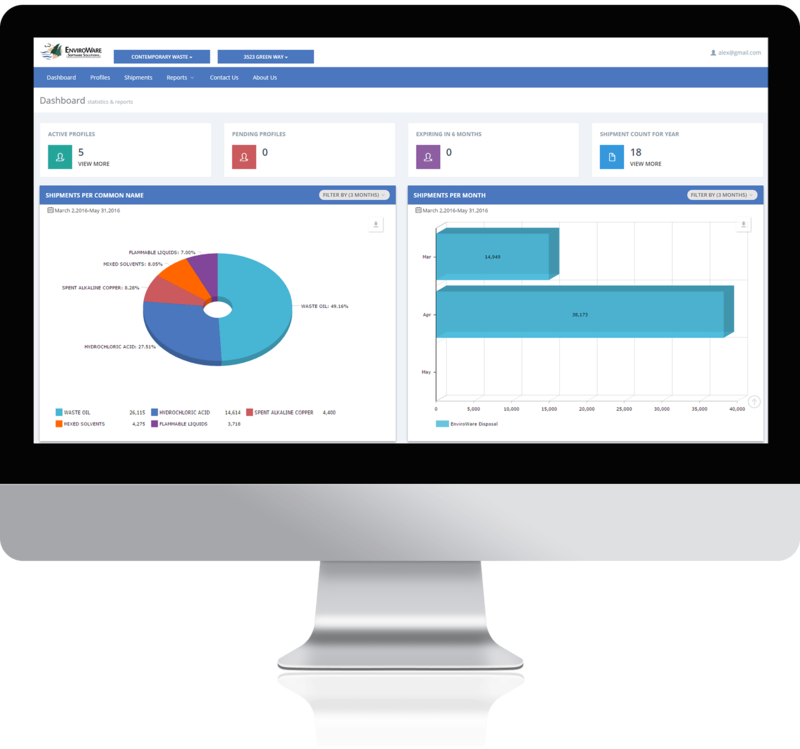 Customizable graphs displaying profile and/or shipment data for your customer’s data. Web page to search and view list of profiles. Web page to search and view list of shipments. 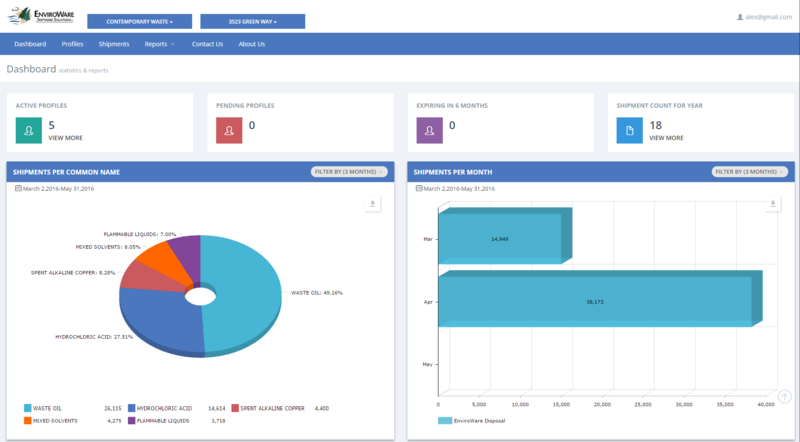 Web page to run customizable reports.